Have you ever wondered if there is some kind of “code" that some entrepreneurs are able to break and others spend their whole lives working on, never becoming successful? Well, there is, and unlocking that code will give you the same success as some of the world’s richest people. In this audiobook, you will find a list of the 50 most common habits among success stories like Bill Gates, Larry Page, and even Barack Obama! Make their habits your habits, and you can crack the code, becoming just as big a success as they are! Find out which areas of life the world’s most successful people concentrate on the most. 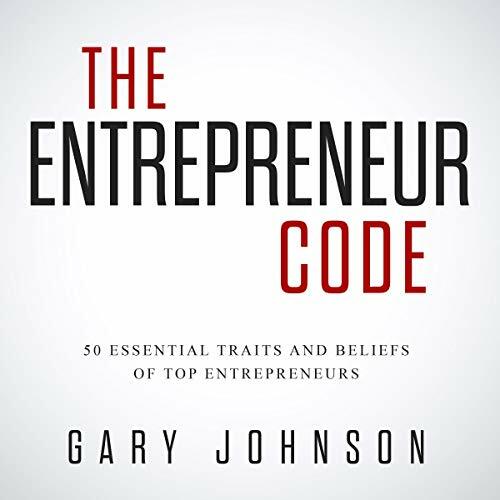 Discover all 50 of the habits to cultivate to break the entrepreneur code. Hear from rich, famous, and powerful people what they did to achieve success. Discover the nine things that entrepreneurs do in their professional life that makes money and creates success. Learn six things that Shark Tank’s Mark Cuban did to develop himself into the wealthy investor he is today. Get the seven absolutely unbreakable rules on personal finance from the world’s top billionaires.